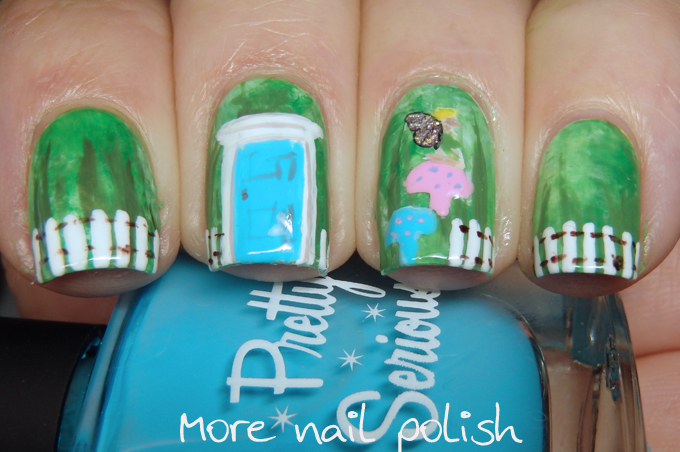 For the penultimate day of the Digital Dozen in my garden prompt, I have a garden within my garden. 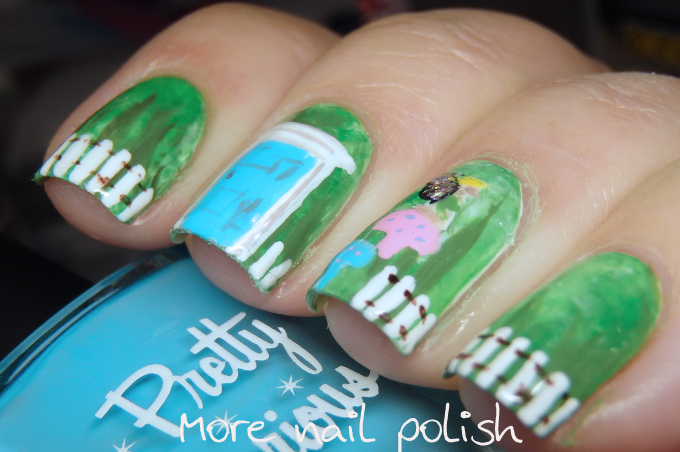 This nail art represents the Fairy Garden my daughter and I built recently. 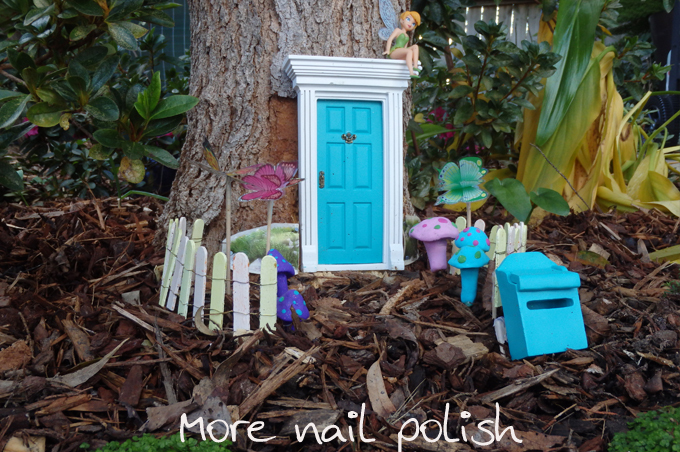 It has a picket fence made with Popsicle sticks, pink and blue handmade mushrooms out of Femo, some butterflies, and a little mailbox and door set that we bought from Kmart. We added this under our feature table that we built last year. The stump is what remains of our Mulberry tree, we have to cut it down because its root system was becoming destructive to the paving and pool, not to mention the mess that all the berries made. On top of the stump, we have attached a huge yellow box eucalyptus tree burl. It's really quite a magnificent table now. 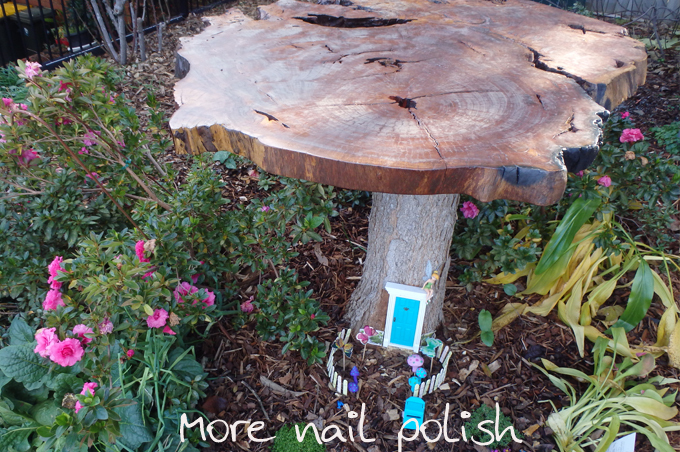 I chiseled out a flat part on the stump of the tree to attach the door to, and my daughter added one of her little Tinkerbell figurines sitting on the door. 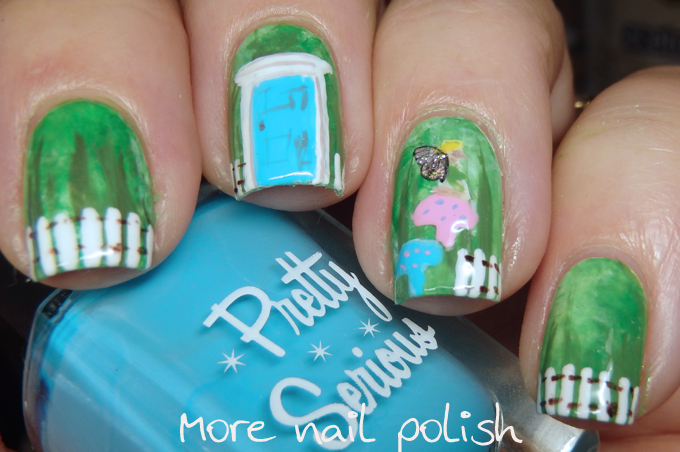 I did try to add Tinkerbell into my nail art, but my choice of green background meant you can't really see her sitting there on the mushroom.